Posted April 5, 2017 by Sheri Bell and filed under the categories Apologetics, Resurrection. Apologetics Booklet Examines Factual Evidence of the Resurrection of Jesus Christ. How does one go about finding a true answer to the question of whether Jesus did or didn’t rise from the dead? 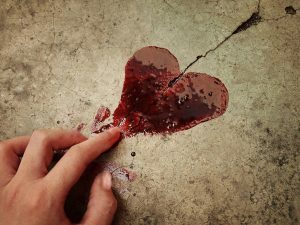 As we said when we started this blog series six weeks ago, a critical historian would check out the validity of the records of witnesses, confirm Jesus’ death by crucifixion, go over the burial procedures, and confirm the reports of the empty tomb and Jesus being seen alive on the third day—and then consider possible alternative explanations of the event. It is my hope, as you looked closely at the crucifixion details, the burial details, the empty tomb, and some of the faulty resurrection theories critics have proposed, that your faith in Christ’s resurrection has been strengthened. Christ rose, just as He promised! We’ll finish up this blog series by recapping seven important points we’ve learned about the resurrection, and answer this question: Does science disprove the resurrection? We’ve learned that numerous non-Biblical sources confirm that Jesus lived, and died on a cross, before being buried to exacting Jewish custom. The Jewish leaders responsible for His death did everything they could to thwart Jesus—including spreading the lie that His body was stolen and His resurrection faked. That crowds of people saw Jesus in His resurrected form. The apostle Paul records that many of those witnesses were still alive (and thus able to deny the resurrection) at the time of his writing. Remember that Paul, originally named Saul, despised Christ and persecuted His followers—until Paul’s radical conversion. After that, he wouldn’t shut up about the Good News of Jesus’ resurrection! Even James, who did not believe in Jesus when He was alive, became a radical believer—and one of the Church’s early martyrs. What caused such a change in his attitude toward his brother? Seeing Jesus resurrected! We’ve learned that early Christ followers were so convinced of Jesus’ resurrection that they enthusiastically shared the Good News—despite the threat of death. Many willingly gave their lives for Jesus. That critics have spent considerable time coming up with resurrection theories so full of holes that they resemble Swiss cheese. It takes more faith to believe in them than the resurrection! Does the Big Bang Theory Work for You??? But let’s remember that fact and theory are not the same thing. The first is, well, fact. The second is guesswork. The details of Jesus’ life, death, and resurrection, in both the Bible and non-Christian texts, are FACT. We can trust them. The comments posted to Hutchinson’s article make for a fascinating read. You might peruse them, if you find intellectual comments between Christians and non-Christians to be as interesting as I do. The simple truth: this obviously scientifically educated woman has yet to grasp that she will not experience the truth and power of the resurrection until she approaches God with an open heart and mind. God continually offers us the opportunity to meet Him and know Him. But He will never force the relationship. Are Atheists Right to Dismiss God and the Resurrection? Hmmm…..the Bible says that we’re all born with an innate knowledge of our need for God. Atheists, from my experience, are so strident in their stance because of their personal life experiences with this very tough world. Their hurts, their disappointments, their anger, and their fears appear to be the impetus for their choosing to sit in judgement of God. That’s quite the leap. And untrue. We all know people who have been radically transformed after choosing to place their lives in God’s hands. Why does God allow children to get cancer? I don’t know the answer to Fry’s question. But I also don’t have to know the answer—or find the answer acceptable—to believe in God or His goodness. Is God accountable to me? Umm…no. He’s God. Our arrogance in demanding that God exist in the boxes we create for Him is astounding. Can I get an “Amen,” that the confusion is on our part, not God’s? The religious splintering in our world doesn’t make God happy either. The CliffsNotes version of His plan: “Love God, love each other.” Yet, we consistently choose to do the opposite. Fry suggests, as did the woman in Hutchinson’s article, that Christians are incapable of intelligent thought. I think we can all agree that there are some “Christians” who do not seem to put much thought into what they think, say, or do. But I also know many Christ followers who are highly intelligent, and highly committed to seeking God and knowing Him by studying His Word. They don’t try to make God fit into their theory of who He should be, but allow Him to reveal who He is. Atheists believe their intelligence and logic trumps God’s, that the resurrection never happened, and so it holds no meaning. Bottom line: Through His resurrection, Jesus gives us the freedom that God originally intended. Without the resurrection, we have nothing to lift us out of the muck of this very fallen world. But by defeating death, Jesus showed us that our earthly experience is just part of our journey in our relationship with God. There’s so much good to come! Will YOU Make Room for the Miraculous? Manousos concludes that it does. But he rightly adds that we each must choose to make that decision. Is now the time for YOU to meet Jesus? You might start with this link: How Can I know Jesus personally? 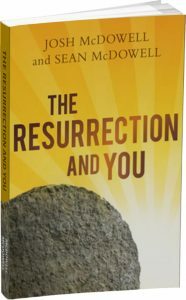 This blog post highlights Josh and Sean’s new 64-page booklet, The Resurrection and You. We are certain this little booklet will be an effective evangelism tool for you this Easter season. So we’d like to offer you this resource, to help you share the Good News! BONUS: Every 30-pack order arrives with a FREE copy of our full, 256-page book, Evidence for the Resurrection. 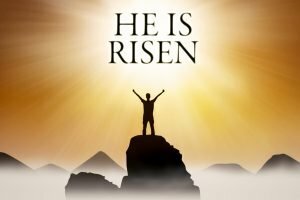 « Resurrection Theories Debunked: Christ Rose!